Again while we were in the 1st Arrondissement of Paris at the Musee du Louvre, we took these high definition photos showing a statue called Archeologie, which was sculpted by Horace Daillon. 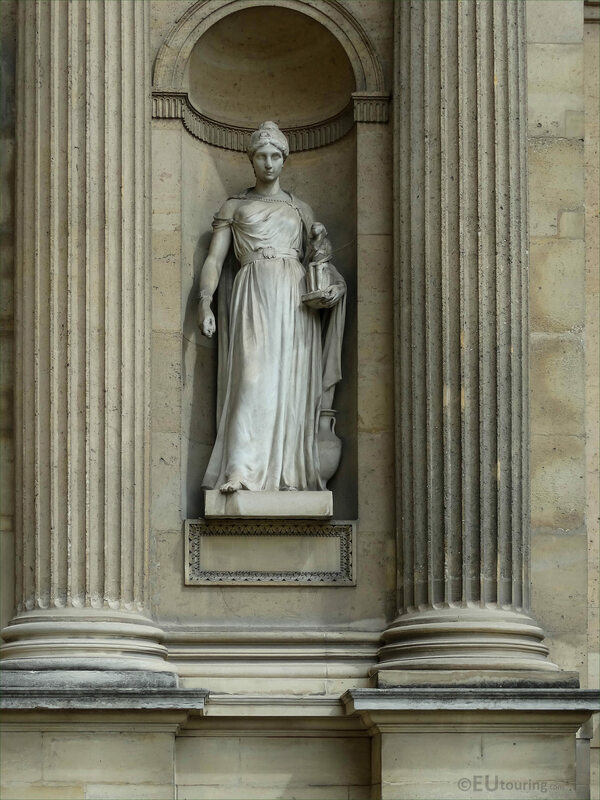 This first HD photo shows the statue called Archeologie, which is an allegorical statue that was sculpted in marble to depict Archeology and this was put in place on the Aile Est facade of the former Palais du Louvre back in 1891. 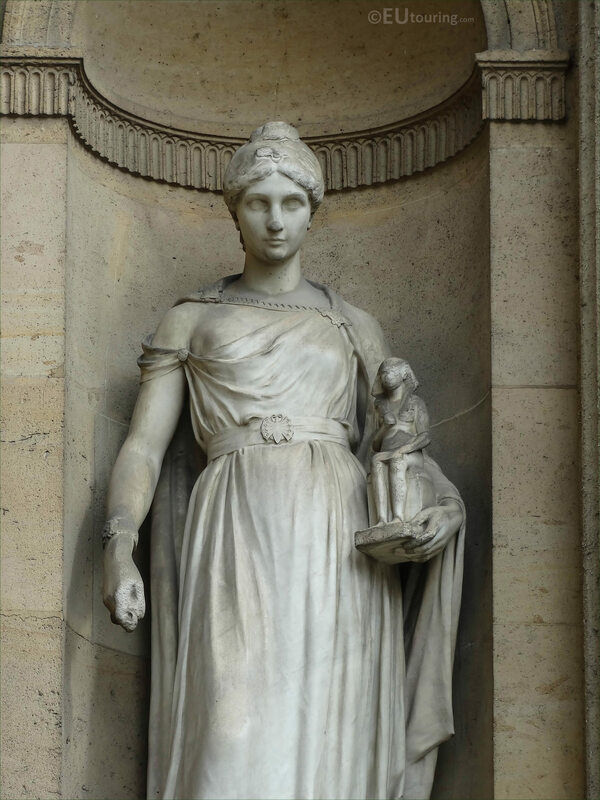 Yet in this image you can see some of the detailing that went into producing this female allegory of Archeologie, which was by Horace Daillon who was born in Paris in 1854 and studied to become a French sculptor, with many of his works now found at tourist attractions in Paris and throughout France. 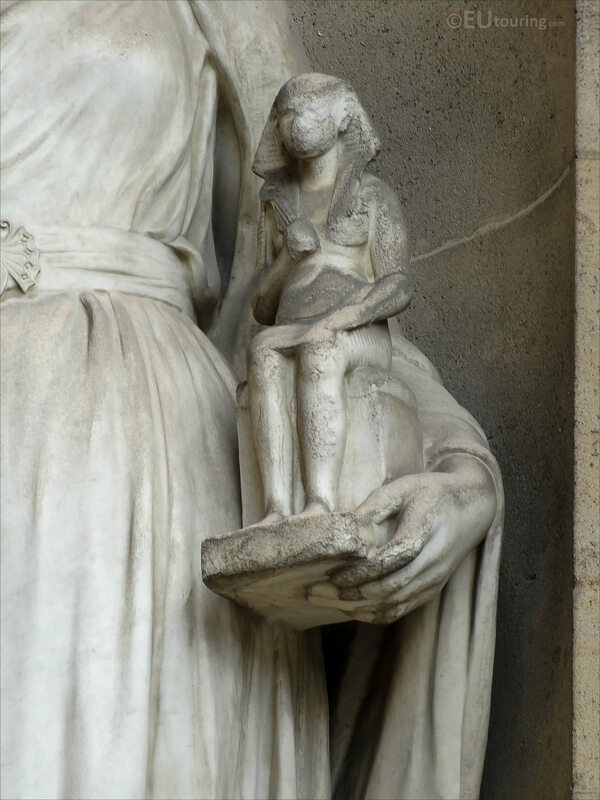 In fact, Horace Daillon produced one of the statues for the facade of Grand Palais, another of his works is located within the Jardin du Luxembourg and another at the Musee d'Orsay, not forgetting this allegory of Archeology on the Musee du Louvre, which as you can tell from this close up photo, the female is holding a figurine as though from an Egyptian tomb. 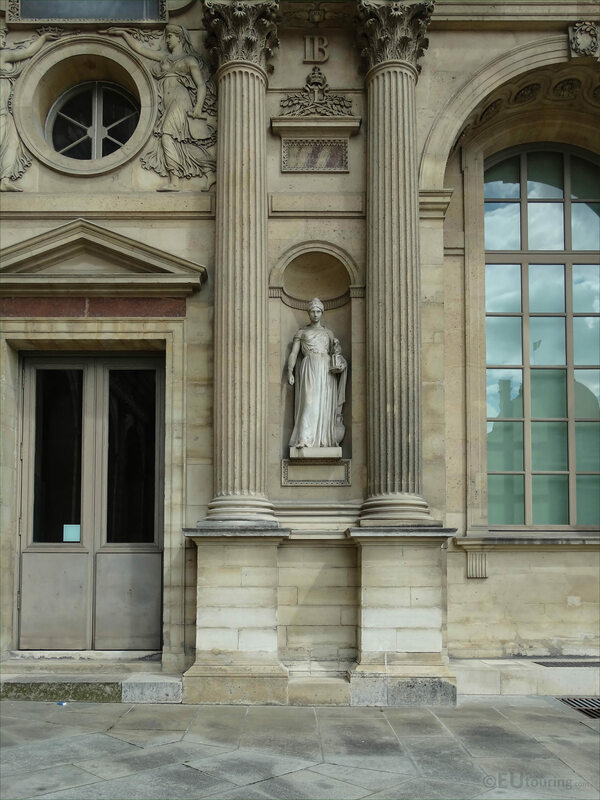 However, this last image showing the location of the Archeologie marble statue positioned within a niche on the first level of the Aile Est facade, and when you are in the courtyard of The Louvre called the Cour Carree, you will see that this has been placed second from the left hand side.